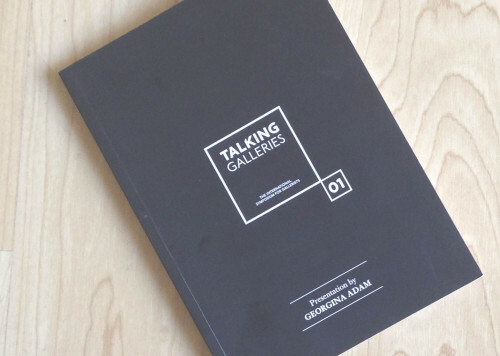 A collection of books which compile the debates raised in TALKING GALLERIES Platform. 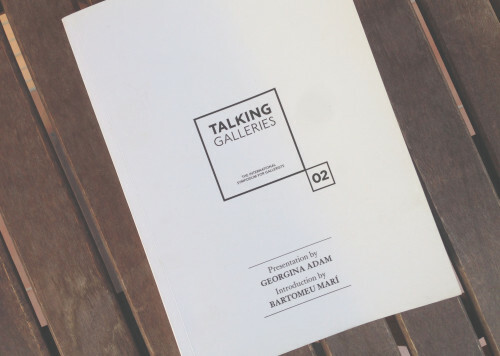 The series are a ground-breaking contribution to the art gallery studies, featuring key issues by renowned figures of the art world. 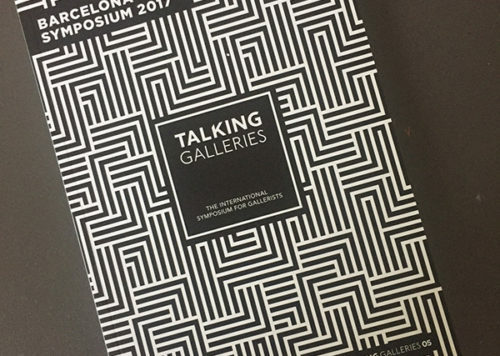 Each notebook gathers the contents developed throughout one year and is available online and in printed copies upon request. 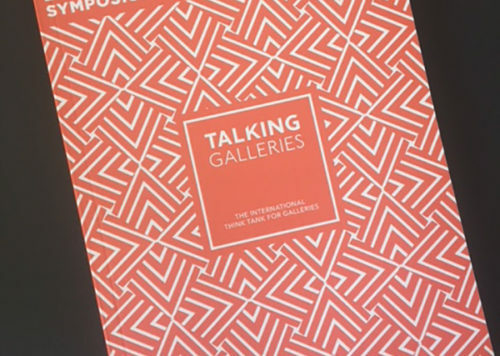 CONTRIBUTORS: Georgina Adam, Jeffrey Boloten, Vanessa Carlos, Saskia Clifford-Mobley, Elizabeth Dee, Nanne Dekking, Jean-Claude Freymond-Guth, Melanie Gerlis, Natasha Hébert, Ernst Hilger, Christy MacLear, John Martin, Clare McAndrew, David Juda, Ursula Krinzinger, Alex Logsdail, Lorena Muñoz-Alonso, Sophie Neuendorf, Claes Nordenhake, Guillermo Romero Parra, Lisa Schiff, Tim Schneider, Richard Scott, Alain Servais, Adam Sheffer, Rebecca Taylor, Daniel Templon, Carlos Urroz, Hélène Vandenberghe and Ossian Ward. 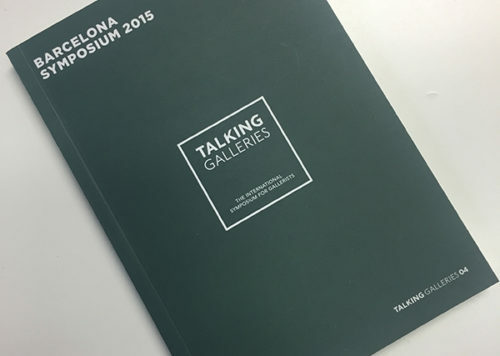 CONTRIBUTORS: Georgina Adam, Martin Aguilera, Sabrina Amrani, Elba Benítez, Jeffrey Boloten, François Chantala, Susan Dunne, Jean Frémon, Melanie Gerlis, Carles Guerra, Martin Klosterfelde, Moritz Küng, Simona Malvezzi, Antoon Ott, Simon de Pury, Adriaan Raemdonck, Anthony Reynolds, Jesse Ringham, Thaddaeus Ropac, Lisa Schiff, Adam Sheffer, Victoria Siddall, and Jocelyn Wolff. 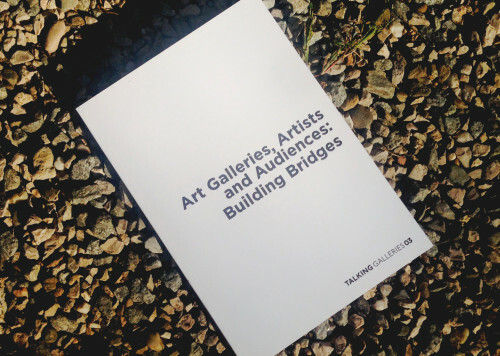 CONTRIBUTORS: Georgina Adam, Marek Claassen, Silvia Dauder, Elizabeth Dee, Gigiotto Del Vecchio, Touria El Glaoui, Dora García, Annamária Molnár, Anders Petterson, Lisa Ruyter, Annette Schönholzer, Alain Servais, Adam Sheffer, Marc Spiegler, Carlos Urroz, Matthias von Stenglin, and Jocelyn Wolff. CONTRIBUTORS: Georgina Adam, Jordi Colomer, Harald Falckenberg, Thomas Galbraith, Rainer Ganahl, Łukasz Gorczyca, Alistair Hicks, Guy Jennings, Hans Knoll, Sylvain Levy, Maria Marques, Jochen Meyer, Annamária Molnár, Calum Sutton, Christian Viveros-Fauné, Dorsey Waxter, Edward Winkleman. CONTRIBUTORS: Georgina Adam, Clare McAndrew, Albert Baronian, Daniel McLean, María de Corral, Ann Demeester, Ana Letícia Fialho, Victor Gisler, Ainhoa Grandes, Jeanine Hofland, Noah Horowitz, Alberto de Juan, Sylvain Levy, Billy Maker, Bartomeu Matí, Kamel Mennour, Eva Moraga, Claes Nordenhake, Lisa Panting, Emilio Pi, Alain Servais, Jocelyn Wolff.